INSHUTI helps those best students already belonging to its programs, coming out of high school who aspire to attend college through scholarships. INSHUTI itself and some Inshuti’s volunteer families, support the costs of tuition fees and help on the other necessities that these high level education request. Our college students are orphans or students whose family lives in the hard conditions. Without our help, they should stop studying. We want to allow them to develop their skills and realize their high expectations for a better future. Our university students help INSHUTI in the management of projects in Rwanda: therefor they are also an important resource to our association thanks to their intelligence and to their professional acquired competences . Today we have 5 UNI students, but other young people are graduating and ask us to support them. 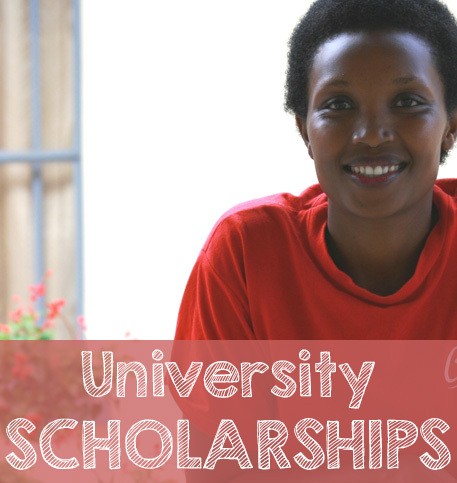 The scholarship required for college consist on € 1200 Euros per year. It included the annual fees and a Laptop , but not including housing, which remains dependent on them.